Upon realizing that your child has a communication delay or is progressing differently from his or her peers, most parents will go through some form of a grieving process. This is entirely natural! It is important to become involved in your child’s team and seek out the support of other parents and professionals who work with your child. If your child is seeing a Speech-Language Pathologist, talk with them and find out what they are targeting in therapy and how you can help reinforce it at home. Ask them what not to do as well! Avoid putting pressure on your child to speak. Do not request your child to say things or quiz them on what things are. Avoid saying, “Can you say…?” or, “What is this?” etc. Focus on interacting with your child in a playful way. Other parents are a fantastic resource. It is helpful to share your experiences with others and understand that many others are coping with similar issues. The emotional support that parents can offer to other parents in similar situations is invaluable. The following link is one mother’s reaction and some advice that was helpful for her. This blog is a forum where parents can connect with others who have children with speech and language delays. Feel free to ask specific questions regarding your child’s delay or to use this thread to reach out to other parents! Early intervention for speech and language is geared to help the child develop and acquire language. However, a new study has shown that it helps the parents just as much as the child!A study involving 53 parents of toddlers who had less than 10 words showed that the parent’s perception of their child’s success was more positive following intervention. …language intervention may not only help the child communicate but also have a positive impact on parent perception of language development. 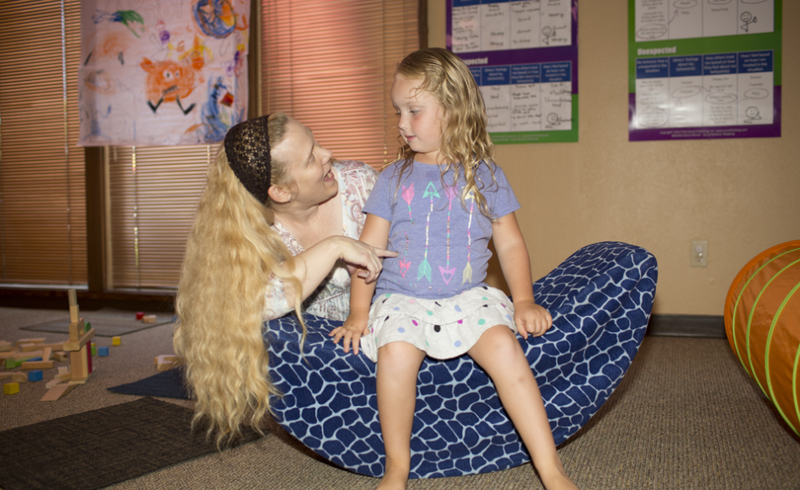 Seeking out early intervention services is beneficial to the family as a whole. If you have any concerns, do not hesitate to act quickly! Call The Swain Center at (707) 575-1468 for a FREE SCREENING.